Clay Jackson Stables - Horses for sale ** Eligible in barn lease contact us for details! ** Eligible in barn lease contact us for details! ﻿ ﻿Are you looking for a performance jumper? Del has very nice movement and control, he has excellent flat work! Along with very nice use of his front end and an easy jump, this imported 17h+ Warmblood has a willing attitude, and an "honest " attitude. With plenty of scope, and easy going form, he makes a real nice ride for either an amatuer or pro rider. 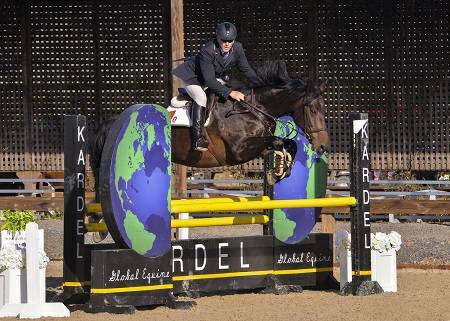 Delbert has been shown lighlty at 1.10m courses and schooled for the 1.20m division, he has been under sadddle up to 1.35m, very capable, free jumps 1.50m+ with ease. Gentle attitude. 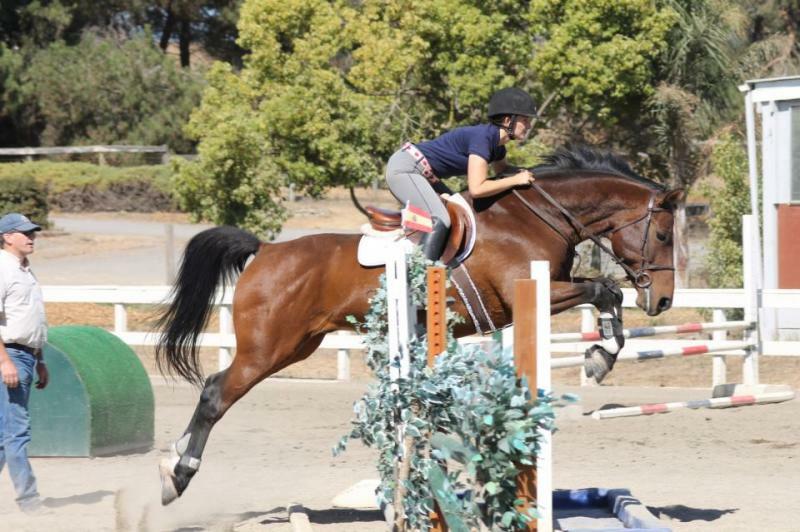 He is perfect for the Jumper Eq. division or a Hunter Derby, very adjustable, quiet to the fence, and with floating movement. 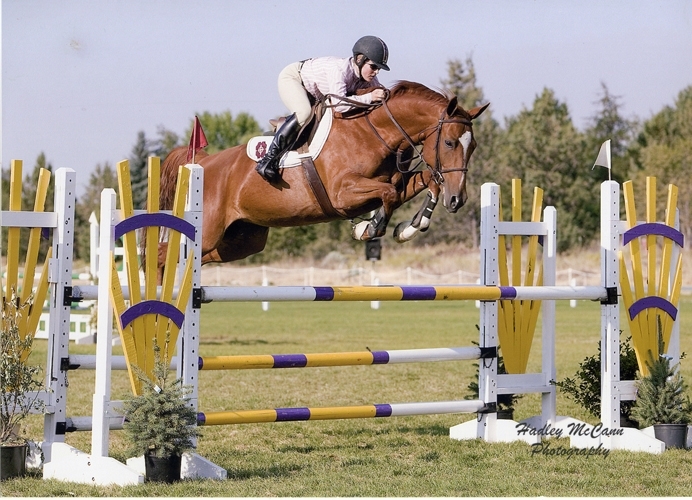 He can pack a novice too...in the 2015 season he was shown under a Jr/Am with just a few training sessions together, she rode in her first ever 3' jumper class, placing sixth out of a dozens of seasoned riders. He is ready to be your next champion horse! HE HAS SUPER POTENTIAL!!! 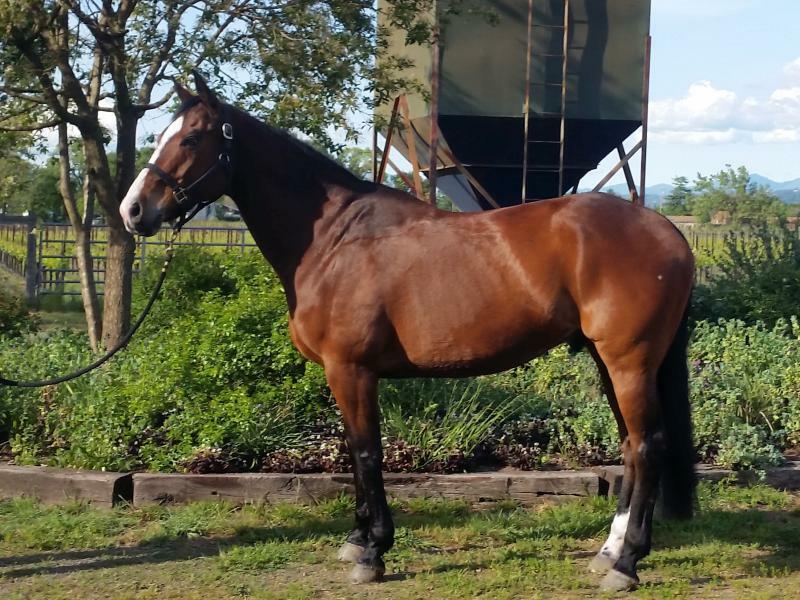 ﻿﻿﻿﻿A Beautiful 17h dark bay mare by Liocalyon (Ladykiller-Calypso ll) , out of Power point- 2000 Holsteiner mare by Oskar out of Ille (Tin Rocco). 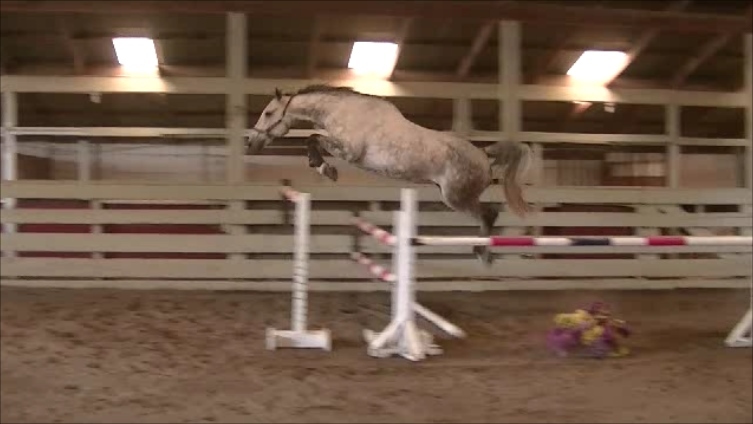 "Breezy" has over 17 siblings jumping 1.40 meter and higher. In her first season (2017) she claimed "champion" at her first "A" rated show in the .90m (3') Jumpers, she went on to place 2nd in the 1.05m and placed 3rd and 7th in the 1.10m Jumper division. All in all, in her first season she ribboned or averaged in the top 1/3 of every class against many seasoned horses! "Breezy" is a 1/2 sister to the Grand Prix stallion “Peterbuilt” ridden by Guy Thomas, who qualified for World Cup. She is also 1/2 sister to the 2001 bay mare “Dustin Delphi” who joined Saudi Equestrian in May 2011, following a remarkable performance with her New Zealand owner and rider, Katie McVean, at the Rolex FEI World Cup™ Final in Leipzig in ﻿﻿May 2011. Kamal Bahamdan and the Saudi Equestrian management, and they decided to purchase her together., (reported at 1m)! In Helsinki in October 2011 the pair jumped well throughout the weekend, and were unlucky to have one fence down in the 1st round of the 1.60m Rolex FEI World Cup, denying them a place in the jump-off. Delphi was part of the 2012 London Olympic team. Breezy has these great genetics built in to jump in high performance classes, don't pass up your ticket to the Gran Prix! 17.2 hand gentle giant! Awesome jump! A little power house that just over 15 hands, includes a great personality and backed by excellent performance pedigree. Dutch sire, out of Champion hunter mare. 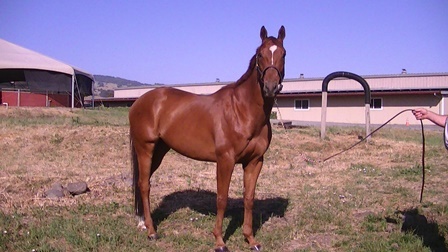 Gidget is currently in our young horse development program and coming along nicely. Videos are oldern just after starting her work summer of 2015. Current videos coming soon!! She will be a wonderful horse for a small adult or young rider! Priced @ 10k. Clinton ** Sold Jan. 2019!!! A very handsome, 17h Quarter Horse he was briefly evented on and shown lightly. A very impressive QH and T.B.lineage, his sire was a multiple champion and Grandsire was an AQHA "Super horse" winning the world in several divisions from Hunt Seat, Equitation, reining, working cow horse and a few others! Obviously the performance in his blood; This guy is a gas to ride, foward and ambitious but also very responsive with good flat work! Currently available as a pasture mate and light riding only. 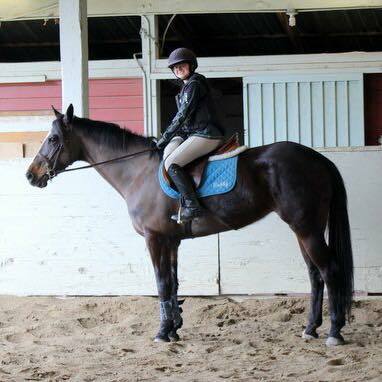 16.3h Thoroughbred, a very pretty gelding with hunter movement and a nice jump. Winston loves to load up and hit the trails too. 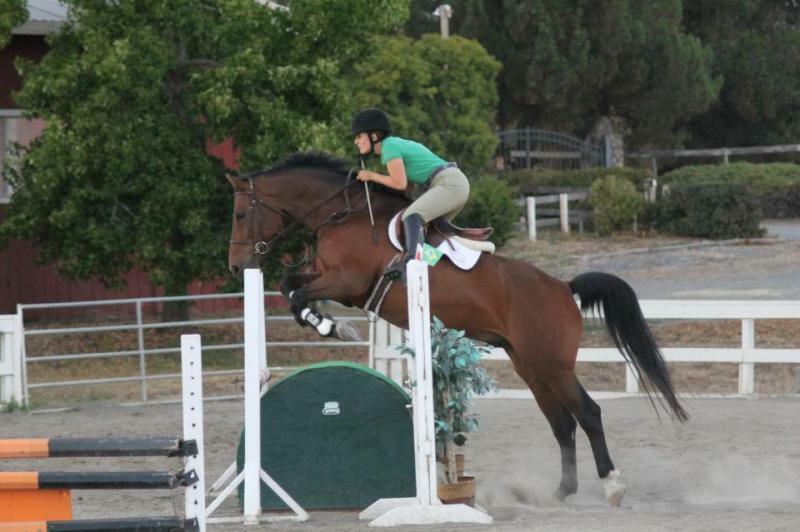 A 16h TB gelding (Storm Cat), could be a great lower level Eventer/Jumper. Good on trails, loves to go! Tio was never raced but he will need an experienced rider. Started over fences and natural obstacles, creeks, etc. 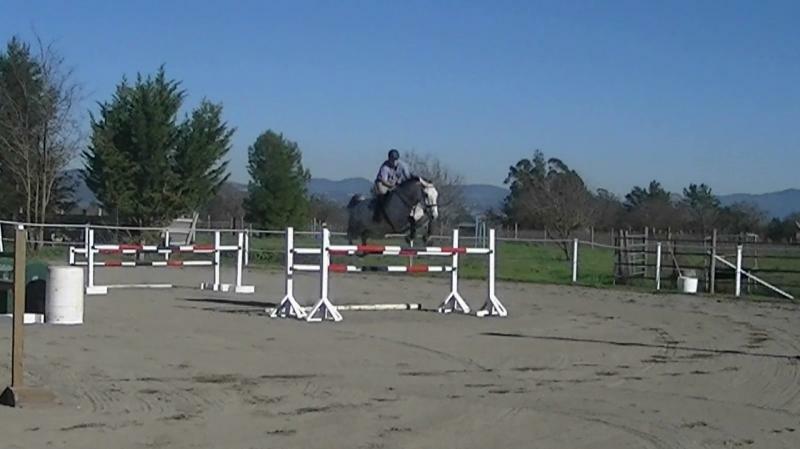 He jumps good and has his flat work down! Discounted to move fast so contact us soon! Priced under 5k. Trava Sold Dec. 2018 !!! This is a great little project for someone wanting a smaller horse. Trava is a Quarter horse and is just about 14.0 hands and is a real suprise in a little package, inteligent and athletic. We just introduced the jumping lane and after a few trips she now goes on her own! She loves it! She is halter broke, bathes, cross ties, (currently) being redied to be under saddle. We are looking for a good home, maybe that smaller rider who wants a fun little powerhouse. 2018 show season is on the move, and with a few select shows we always present horses from our sale barn! We place your horses info in multiple sites and exhibit your horse professionaly. We deal with it all, providing assistance from initial contact through the pre-purchase exams to contract signing, even providing shipping support! CJS is Close to San Fransisco/Oakland Intl. airports and also served locally in Santa Rosa! Congratulations to the Hofherr Family on the purchase of "ADONIS Z" we hope you enjoy many years in the ring. 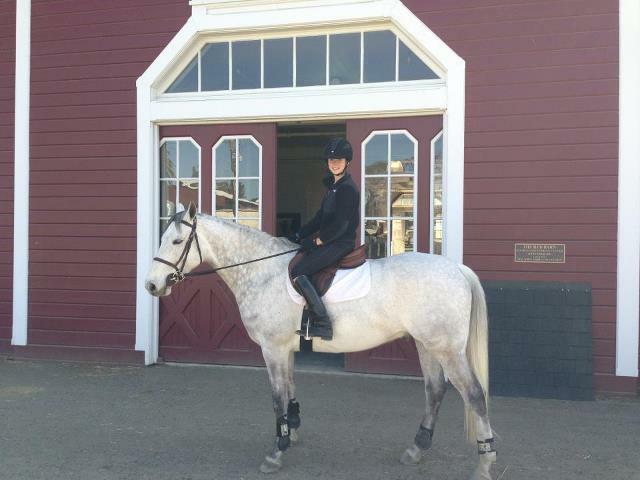 Congratulations to the Geller family and best of luck Madaline with your new horse, see you on the "A" circuit! Congratulations on your second horse Tracey. A lot of jumping in your future now!!! Good luck Robby with your new mare! We have some great in barn lease horses available for the season!!! Copyright 2009 jacksonshowjumpers. All rights reserved.